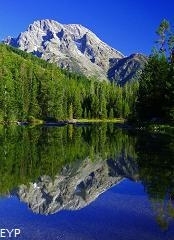 String Lake, Grand Teton National Park. 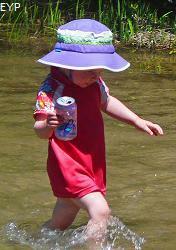 String Lake in Grand Teton National Park has shallow, relatively warm water. 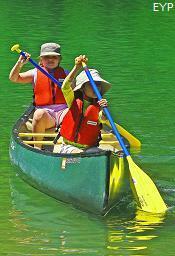 This makes String Lake a great place to enjoy the water on a hot summer day. 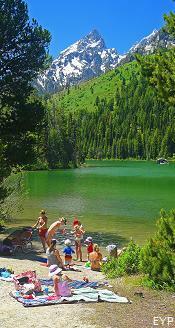 String Lake in Grand Teton National Park is the place to be on a hot summer day! 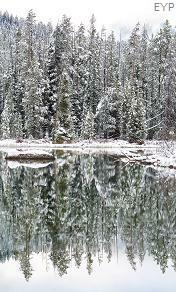 String Lake is shallow, so the water is warm, and the winds are usually calm. This is a perfect formula for FUN! 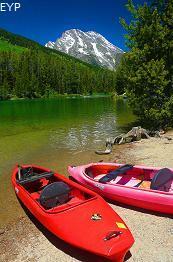 String Lake is where visitors come to swim, inner tube, canoe, kayak, sun bath and picnic. And the setting couldn't be more beautiful. 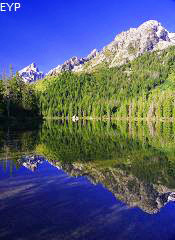 String Lake is located just a few miles west of the North Jenny Lake Junction. Follow the signs- it's easy to find. Once you take a right just before the road turns into a one-way (Jenny Lake Scenic Drive) that heads south to Jenny Lake Overlook, you'll see a parking lot to your left, and as you keep going you'll see a canoe launch area to your left, and as you keep going still, you'll finally end up at the actual String Lake Area, with bathrooms and picnic tables. 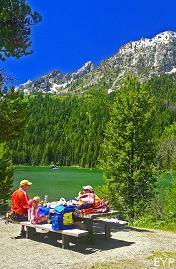 The String Lake Picnic Area is a favorite among Grand Teton National Park visitors. 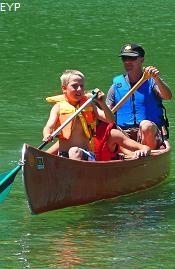 If you'd like to rent a canoe or kayak, there are several local businesses that provide this service. 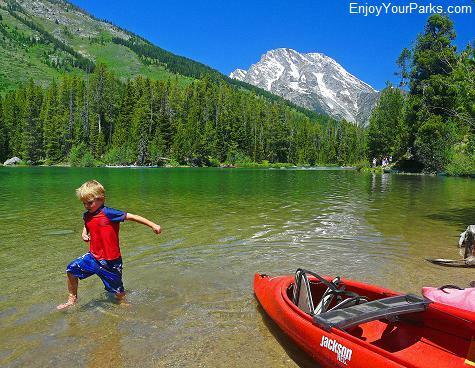 String Lake in Grand Teton National Park is the best lake in the park to play in! 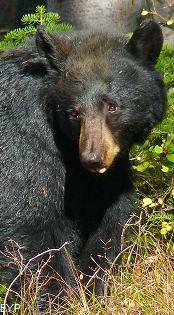 And don't forget the String Lake Picnic Area! 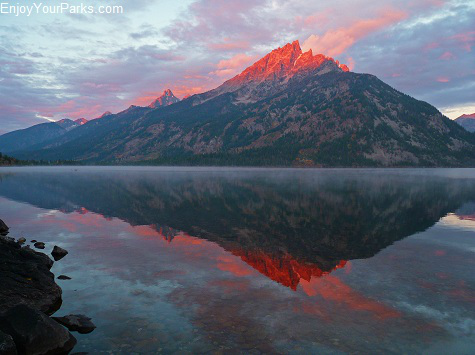 Leigh Lake, Grand Teton National Park. 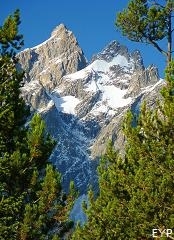 The Leigh Lake Trailhead is located at String Lake Area in Grand Teton National Park. 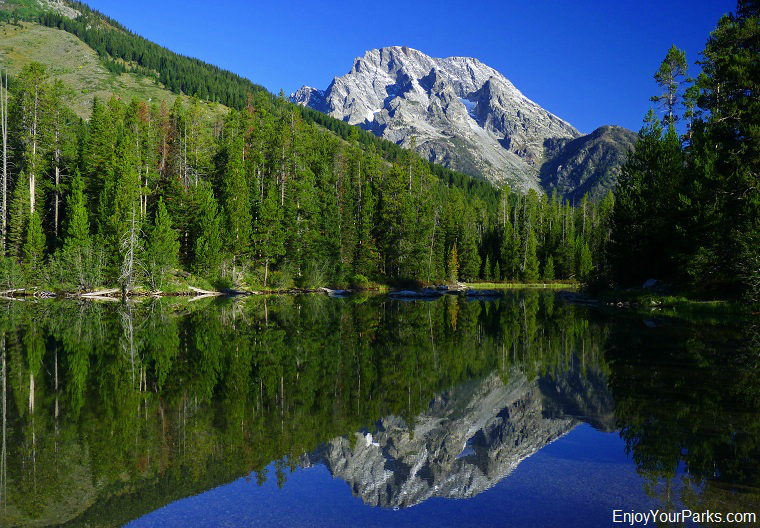 Leigh Lake, which is a larger lake only a few miles north of String Lake, is where there are several nice backcountry campsites to enjoy. 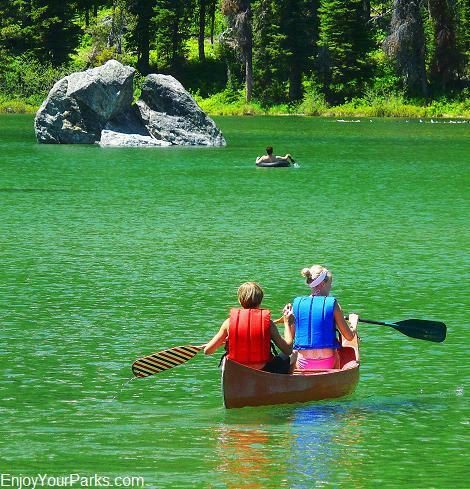 Many visitors take their canoes all the way up String Lake, and then portage their canoe a few hundred yards to Leigh Lake. The Leigh Lake Trail is flat as a pancake, and the scenery is wonderful. 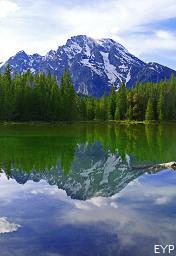 You'll get a great view of Mount Moran towering above the lake. If you're in the mood for a very short, easy and gentle hike with exceptional beauty, this is definitely a hike to take. Along the Leigh Lake Trail, you'll see a trail heading to the left across a long foot that crosses the wide stream that feeds String Lake. 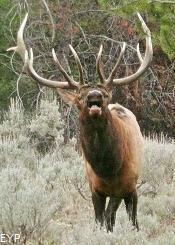 This is the trail that takes you all the way up the famous Paintbrush Canyon. 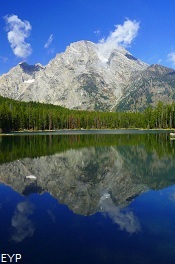 This is a great trail which takes you to Holly Lake, Paintbrush Divide, Lake Solitude and the Painbrush-Cascade Canyon Loop. 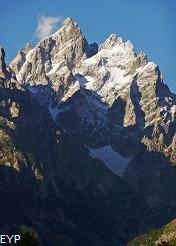 South String Trailhead, Grand Teton National Park. 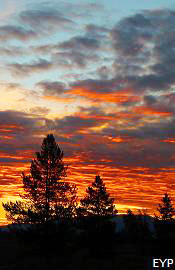 The South String Lake Trailhead is located at the very first parking lot that you'll see when driving into the String Lake Area. 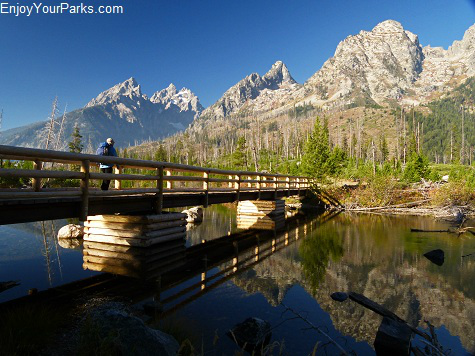 There is a large foot bridge just beyond the trailhead that takes you over the String Lake Outlet that is quite scenic. 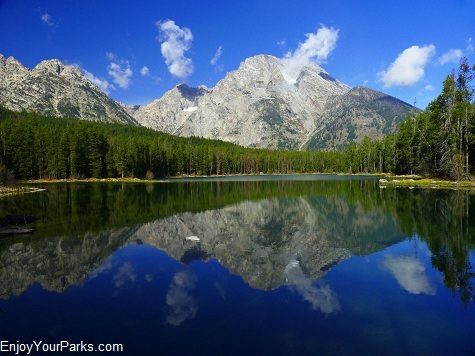 The South String Lake Trail takes you to Jenny Lake and Cascade Canyon. 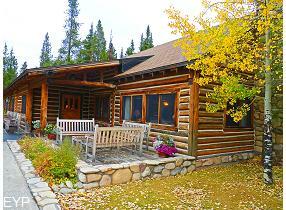 Built in 1920, The Jenny Lake Lodge is a place of "rustic elegance." 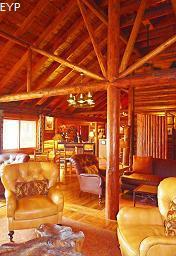 If offers 5-star dinners, rustic cabins, and gourmet breakfasts. 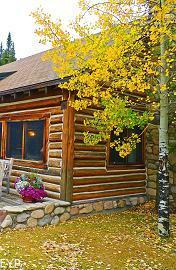 You are definitely not "roughing it" here. 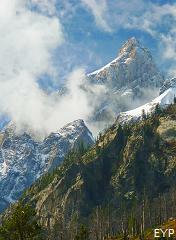 Jenny Lake Overlook, Grand Teton National Park. 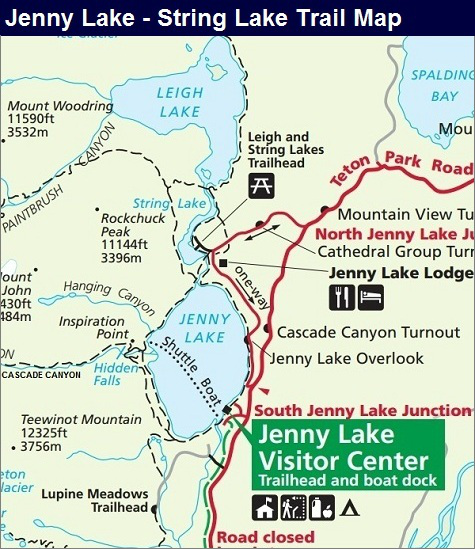 To find the Jenny Lake Overlook, as you approach the String Lake Area, you will reach a junction where the road to the right takes you into the String Lake Area, and the road to the left turns into a one-way road called the Jenny Lake Scenic Drive. This one-way road first takes you the Jenny Lake Lodge, and then heads south through pleasant forests and meadows until you reach the Jenny Lake Overlook. 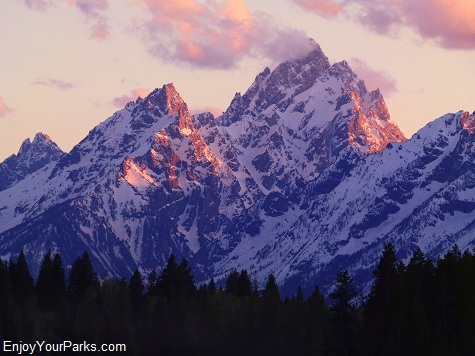 This overlook is a great location to see Jenny Lake with the towering Tetons directly above it to the west. This one-way road then connects back with the Teton Park road, near the South Jenny Lake Junction. 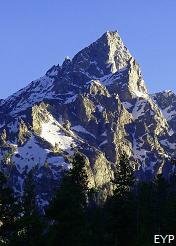 The "Cathedral Group" is a perfect name for these towering giants near the String Lake Area in Grand Teton National Park. 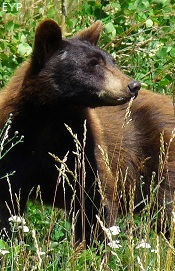 As you turn off the Teton Park Road at North Jenny Lake Junction and onto the road heading west to String Lake, in about a half mile the road will enter a large open meadow. This is where the Cathedral Group Turnout is located, and it's very much worth stopping for. 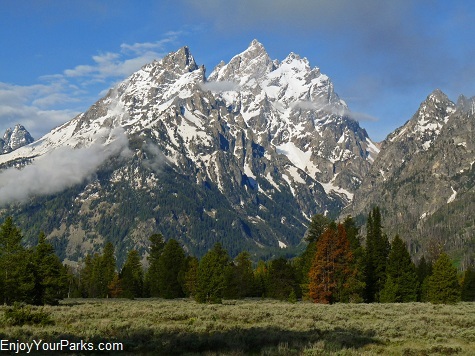 This is the famed view of three major peaks: Grand Teton, Teewinot, and Mount Owen. 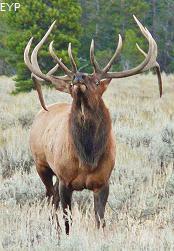 The term "cathedral" is very appropriate to what these giants look like at this angle. 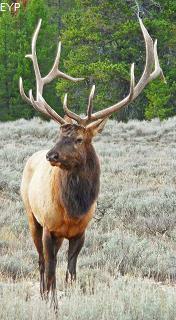 The String Lake Area in Grand Teton National Park is a great place to see elk- especially during the fall mating season. 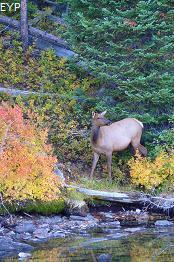 The String Lake Area in Grand Teton National Park is great elk habitat, and especially during the autumn season when the elk are mating, known as "the rut". 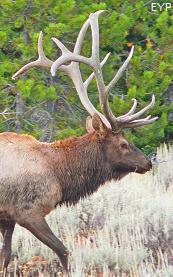 The best place to watch them is along the road that runs through the middle of the huge meadow just before you reach String Lake. 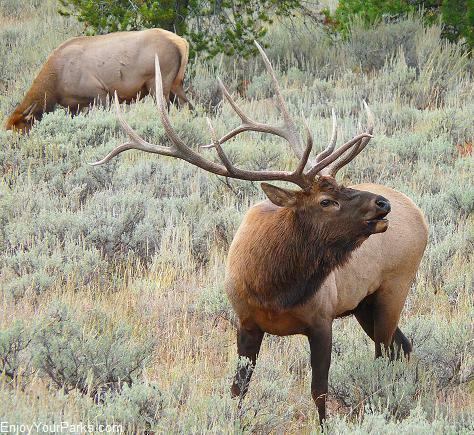 There are few things more thrilling than watching and hearing a giant herd bull bugle as he tries to gather his harem and fight off all the other bulls in the area. 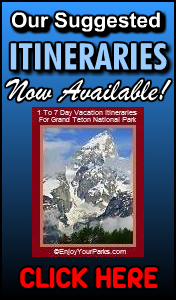 To help you maximize your enjoyment during your Grand Teton National Park Vacation, we wrote an E-Book that is completely devoted to Our Suggested Itineraries in Grand Teton National Park, as well as a book discussing our "Ultimate Checklist" (including day hikes). 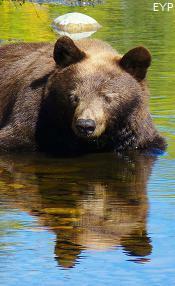 To see all of our E-books, click here. 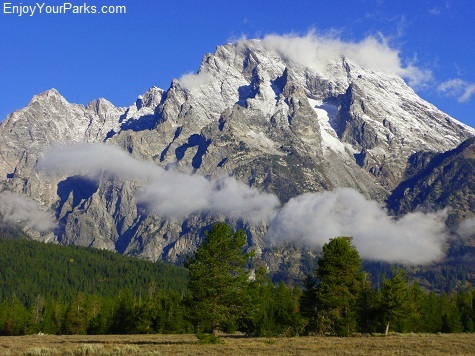 There is a great view of Mount Moran just before you turn into String Lake in Grand Teton National Park.